It started with a gift for all employees. A book that Lenz Grimmer has produced with great professionalism. Then the unexpected but very exciting news arrived, and perhaps a part 2 of this book won't be necessary. 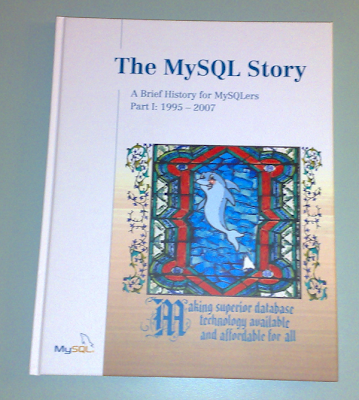 As part of the interesting changes in MySQL, there has been some side effects on me. Since Kaj is now busy being ambassador (my wife, when I explained what he'll be doing, asked if he is going to spend time with Angelina Jolie as goodwill ambassador, but it doesn't seem to be the case!) the community team needed new guidance, and the choice fell on me. So I will be coordinating the community team from now on until the smoke clears on the future of the company roles. My world tour continues. I am now in Los Angeles, to assume my new responsibilities while on the road, as expected from a virtual company employee.